Hello ladies and gents. I know it's been a few weeks since you've heard from me. In my last post I talked about the life of the warrior and being outside of your comfort zone. If you want to know where I've been the past few weeks. That's where I've been. Let me note now that this post will be a bit more personal then usual. Today, I've been thinking about why it's been difficult for me to write. Why I've been feeling sadness, stress, and numbness recently. I've been feeling weak and feeling uninspired and this has crept into my work life, artwork, and even time with friends. I've noticed I've been listening more then contributing and can't really describe why I feel the way I feel or what it is I'm exactly feeling. I guess in some ways I feel discouraged and in other ways abandoned. I've believed a lot in myself before. Sometimes I've seen myself as a superhero (usually in a healthy, confident way) but what hasn't been healthy is unrealistic expectations I've had in myself. Expecting me to control things that are completely out of my control. Basically, I've been and I am being humbled. I want to draw attention to the part of the lyrics that says, "No I can't do this all on my own." A lot of superheroes do all of their feats and experience many of their adventures or trials on their own. We also will experience many things on our own but then refuse the support of others. We get this idea to ask for support is weak, we don't need others, or (the worst) we are not worthy of another's support. Having friends can keep us anchored. All of us need friendship. As weird, disoriented, and up and down I've been feeling these past weeks I'm so glad I've had friends to support me through it all. 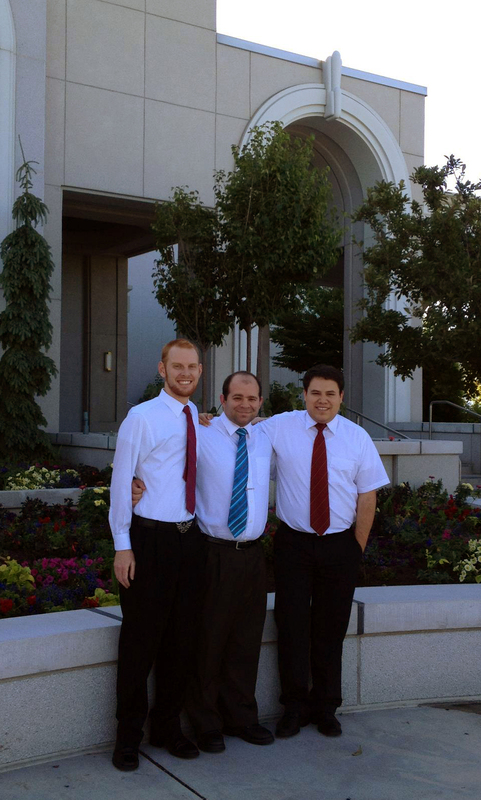 If I didn't have my friends T.J. and Shadow to go to the temple with, I would definitely be in a rougher spot. If I didn't have Joe to always recognize when I'm having a hard time, and then call me out on it, I'd do an even worst job of taking care of myself. The funny thing about this song is that even Superman needs friends. He's got the Justice League. You want to know who else needs friends? Our savior. 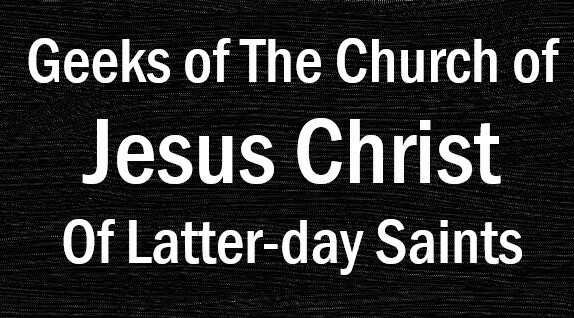 The ultimate example in how to live our life had His quorum of 12 apostles to rely on for support. Having friends is healthy and important to a person's life. Sometimes I feel there can be such an emphasis on the family that the value of friends is often ignored or not even realized. Just skimming through proverbs shows just how important it is to have friends in your life. Proverbs 18:24 A man that hath friends must shew himself friendly: and there is a afriend that sticketh closer than a bbrother. A lot of geeks like to pride themselves on being loners and introverted. Although there is nothing wrong with being an introvert I feel sorry for the guys that are friendless. It may be that guy that refuses to bathe so everyone leaves him alone at comic con. It may be the guy that makes pretentious and arrogant comments to feel powerful to convince himself that he doesn't need friends all the while suffering from loneliness behind closed doors and away from watchful eyes. He numbs his loneliness in a sometimes online virtual world--shutting himself out from the real one. Ladies and gents, it's okay for us to want and need friends. It doesn't make us weak admitting that. We are weak being friendless. We are more susceptible to delusion without them. Being vulnerable with our friends can be risky. It can hurt. Guess what? Friendships will always hurt. Not always intentionally and not all the time but it will hurt at times. Despite the hurt that may come, friendship is worth it and vulnerability is completely necessary. Our Heavenly Father's plan wouldn't work without friendship. I know, for me, a lot of my prayers have been answered through having a friend. I've also learned a lot of life lessons through friendship. I'll be writing more on this subject later. I'm not going to go into how to make friends on this post but I hope you see how important it is to have them. Love and Peace. Not only do I love the use of the Scrubs' opening theme and semi-like the okay pic of me, I really love this post.